Thomas Berry (1914-2009) was a Passionist priest, cultural historian, philosopher, and self-described “geologian.” He was also a kind and gentle human being deeply concerned with the relation of the human world to the natural world. Having been ordained in 1942, he began studying cultural history, especially the world’s religions, and then received his doctorate from Catholic University in 1947. He spent many years studying and teaching the cultures and religions of Asia. For two years he taught at Holy Cross. Further teaching positions were at Seton Hall University, where he helped to start a Center for Asian Studies; St. John’s, where he started a program in Asian culture; and Fordham University, where he was director of the graduate program in the History of Religions (1966-1979). He authored two books on Asian religions, Buddhism (1968) and The Religions of India (1972). Long the voice of ecological wisdom in the religious community and beyond, he founded the Riverdale Center for Religious Research in 1970 and was its director for twenty-five years. He was also president of the American Teilhard Association (1975–1987). By the 1980s he had changed his life’s course as a result of the United Nations World Charter for Nature. Dealing with underlying environmental causes of our present predicament, the Charter made him realize that the human community must live in “a mutually enhancing way” with the larger functioning of planet Earth. This realization expressed itself in his groundbreaking book, published in 1988, The Dream of the Earth, followed in 1991 by Befriending the Earth: A Theology of Reconciliation between Humans and the Earth (with Thomas Clarke); in 1992 The Universe Story (with cosmologist Brian Swimme); in 1999 The Great Work: Our Way into the Future; and in 2006 Evening Thoughts: Reflections on Earth as Sacred Community. 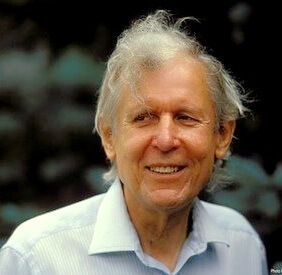 His final two books focusing on world religions were The Sacred Universe: Earth, Spirituality, and Religion in the Twenty-first Century and The Christian Future and the Fate of Earth, both published in 2009. In response to the unprecedented crisis confronting Earth and its inhabitants, Father Berry saw a new historical vision emerging. He described it as the Ecozoic Era, an era in human-Earth relations when humans will learn again to live in harmony with the Earth.